Artist and engineer, Tim Hunkin, details working with Cibachrome to produce exceptionally large “Polaroid style”, instant prints. Hunkin’s choice to work with the format came from his desire to have both large prints and have them immediately. As he puts it, his process of using Cibachrome is like a “slow motion polaroid”. Hunkin shot Cibachrome images for years before tiring of them. Eventually he decided to get back into it. However, frustration ensued shortly after when he learned that Ilford, the only company still producing the film, stopped making it. The following video shows his process in achieving a Cibachrome print despite not having the ideal resources at his disposal. Cibachrome, or Ilfochrome as it was called once Ilford purchased the technology from Ciba-Geigy, is a positive-to-positive photographic process used for reproduction of film transparencies on photographic paper. It was often a choice medium for photographers seeking archival prints with exceptional clarity and brilliance. Prints were rated to last up to 29+ years before noticeable fading would occur, under recommended lighting conditions. In the video, Hunkin details his process of creating such a print. But instead of developing Cibachrome prints in a darkroom, his images are developed shortly after capture using his home made camera. The process is quite involved. Hunkin places his chosen paper within a light tight bag attached to the camera. The bag has two holes for his hands so he can remove the paper from the bag and avoid exposing it prematurely. Once the paper is ready, he positions himself within the scene and uses a shutter release to draw up the shutter, which is a hinged lens cap covering the lens. The exposure takes about 2 seconds outdoors and up to 30 seconds indoors. The photos are developed inside the camera. After capture, he pours in developer through a tube that goes to the tray containing the paper. He then physically rocks the camera back and forth to ensure the photo is developed evenly. After enough time passes, he drains off the developer then adds a bleach-like second chemical. This chemical removes the parts of the paper sensitive to colors that haven’t been developed. After a time, the bleach is drained off and replaced by the fixer, making the image permanent. It’s a very involved process to create a high-quality “instant” print. Upon watching the video I couldn’t help but be impressed with Hunkin’s dedication to the process. Many unfamiliar with the film process or alternative methods of both capture and printing, will be surprised at the often daunting lengths artists will go through to work with specific mediums. The medium Hunkin has chosen matches the style of work he seeks to do and despite no longer have the resources available, he used his own resourcefulness to come up with a workaround. That is dedication right there. While I prefer the immediacy of digital, I have a great respect for artists that work with film and these elaborate processes. And his final print was brilliant. To see more of Tim Hunkin’s work visit his website here. 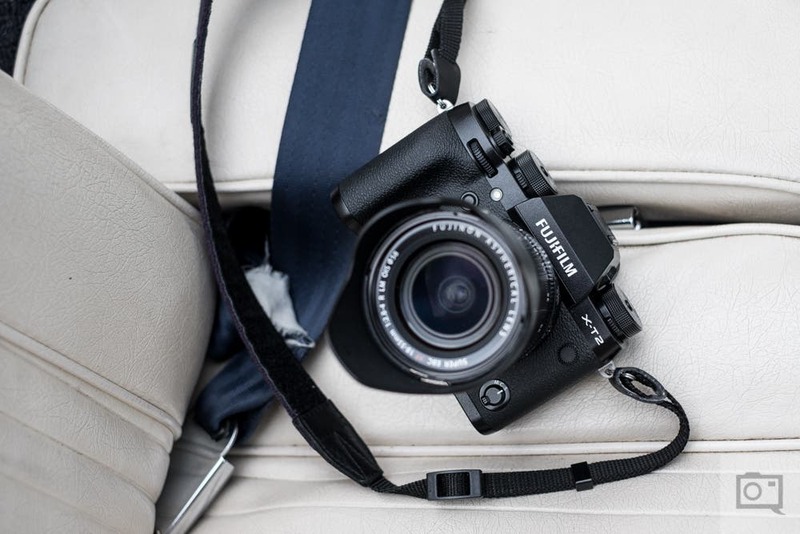 Think Fujifilm Cameras Can’t Shoot Weddings? Maybe This Will Change Your Mind!